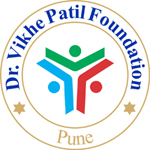 Thank you for visiting the staff recruitment process of Dr. Vikhe Patil Foundation. 1. Candidate need to fill online form with all necessary details as per post. After submitting the form system will provide a Link to download filled application. 2. Please print the downloaded application and send it to school with necessary documents. 3. Candidate will receive a confirmation email(Inbox/Spam folder) after submitting the application.